Global Learning is a programme that helps pupils learn about the challenges our world faces and think critically about how to deal with issues such as poverty, inequality and sustainability. 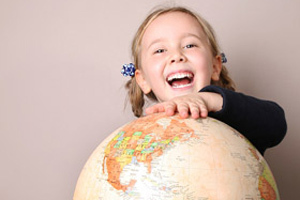 It helps pupils to make sense of the world in which they live and to understand their role within a global society. At Damers we are pleased to be a part of the GLP where we are working with likeminded schools across our community to help our pupils understand more about the world around them. During the past year we have worked on whole school events to raise awareness and understanding of global issues such as Fair Trade, recycling, conservation and learning about the Global Goals. We have broadened our school’s horizons and our pupils’ opportunities with the Connecting Classrooms grant from the British Council. As a result of this we are delighted to have taken our first steps in establishing a new link with a Kenyan school which plays a large part in our Global Learning and provides our pupils with a real, exciting and valuable stimulus. Our different cultures and to recognise similarities and challenge stereotypes. Conservation and the importance of protecting our world’s green spaces. The importance of growing food in our respective communities. The similarities and differences in our local environments. Across the year, we look for lots of opportunities to raise awareness of global issues and challenge stereotypes in addition to recognising how our actions can impact other people. 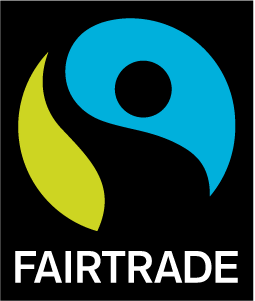 Our ‘Fairtrade Café’, which takes place during Fairtrade Fortnight, allows the children to recognise and understand the importance of fair trade, whilst showing the children how our actions here, can impact on other people’s lives elsewhere. Our pupils also have the opportunity to show how their voice can have a huge impact through campaigns such as ‘Send My Friend to School’ which links to the Global Goals; a campaign empowering children to rally together and tell our country’s leaders that every child has the right to an education. We believe it is important that stereotypes are addressed positively, ensuring that our pupils understand different cultures and ways of life, whilst recognising similarities between us too. Pupils at Damers have the opportunity to learn, for example, that not all people from a certain area are living in poverty, as is often perceived on the news. Our pupils also have the opportunity to learn that through campaigns such as ‘Send my Friend to School’ and ‘Global Goals’, people who are living in poverty can be supported and given the opportunity and tools to stand on their own two feet. We are proud to be sponsoring a young girl in Chogoria, Kenya (the same town as our link school) to attend school meaning she is able to get the education that we believe, every child on earth, should be entitled to.